Use a cool mist vaporizer to deliver hydrogen peroxide to the respiratory system. It’s efficient, safe, and you can ease chronic or acute breathing difficulties, or just get extra oxygen into your system. You won’t need a heating element in the vaporizer, since heat would just dispel the oxygen too fast. 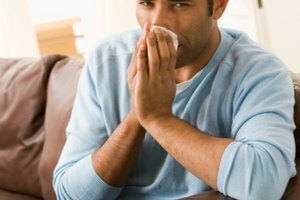 Many people feel that emphysema, COPD, bronchitis, pneumonia and other lung disorders get better when they breathe in a peroxide mist this way. A cool mist vaporizer will distribute water and hydrogen peroxide without heating the solution, which would dissipate the oxygen in the mixture. It’s important to keep your vaporizer clean and sterile to avoid an accumulation of bacteria in the water container. Dump the water out and dry the unit after every use and then wipe out the container with a cloth or cotton moisturized with hydrogen peroxide to be further safe from contamination. Your tap water will work in the vaporizer if it’s reasonably free of minerals. Distilled water is better and easier on the vaporizer, since it won’t accumulate hard scum over time. 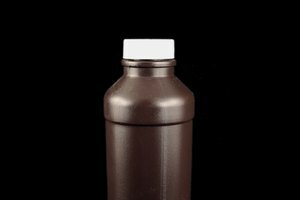 The three percent solution of hydrogen peroxide you will add to the water is readily available at drug and grocery stores in a familiar looking brown bottle for less than one dollar. Many people use this form and are satisfied with it. However, it does contain some stabilizers. The most pure form is the “food grade” peroxide of 35 percent strength. You can buy it at health food stores or from the Internet. Be very careful with this strong solution, since it will burn your skin on contact. For use in your vaporizer, 35 percent hydrogen peroxide needs to be diluted down to 3 percent. To do this, add one part of food grade hydrogen peroxide to eleven parts of plain water. For a quantity, add 1 1/4 cups of food grade peroxide to 1 gallon of water and you will have the 3 percent strength you will find in the brown grocery store bottles. You can make up a solution of water and hydrogen peroxide in quantity to use in your vaporizer. It will stay fresh for use in a reasonable amount of time. However, the hydrogen peroxide will degrade eventually, so if you haven’t used it up after a few days, dump it out and make some more. To make up the mix to put in the vaporizer, add 1 ½ cups of 3-percent hydrogen peroxide to a gallon of water. If you’re going to use the full-strength food grade hydrogen peroxide to make the solution, add ¼ cup to a gallon of water. Hydrogen peroxide therapies have been used for years by many alternative practitioners for a wide range of conditions. William Campbell Douglass is a licensed medical doctor who is outspoken on the benefits of this type of treatment. However, there are also warnings about oxygen therapies that you would use at home. Most cite the danger of burns to living tissues when not used carefully. 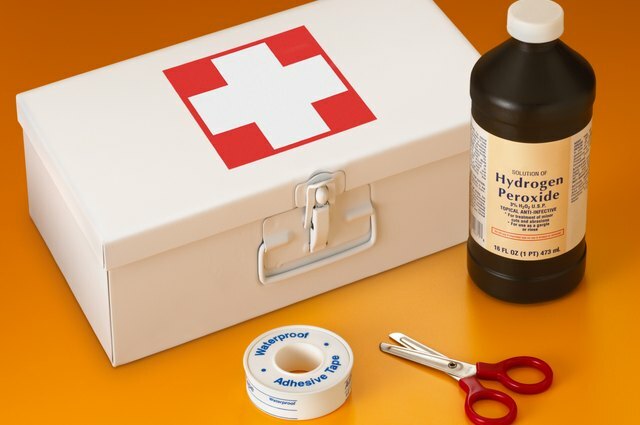 Hydrogen peroxide can be dangerous to use on the skin and even more dangerous to use internally. Most especially, be sure to dilute the stronger 35-percent food grade peroxide meticulously to avoid burning internal tissues. Mary Bennett has been writing since 1984. She started as a tech writer in Silicon Valley, where she wrote for "Microwave Systems News." Bennett earned a Bachelor of Arts in communications from San Jose State.